Apolinario Mabini was undoubtedly the most profound thinker and political philosopher that the Filipino race ever produced. Some day, when his works are fully published, but not until then, Mabini will come into his own. 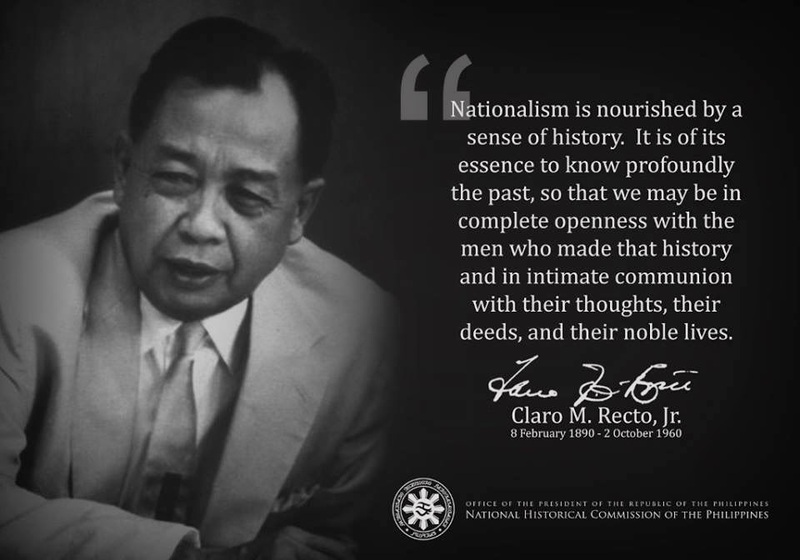 A great name awaits him, not only in the Philippines, for he is already appreciated there, but in every land where the cause of liberty and human freedom is revered. Mabini was born in Tanauan, province of Batangas, island of Luzon, P.I., of poor Filipino parents, in 1864. He received his education in the "Colegio de San Juan de Letran." Manila, and in the University of Santo Tomas. He supported himself while studying by his own efforts, and made a brilliant record in both institutions. Later he devoted his energies to the establishment of a private school in Manila and to legal work. Mabini came to the front in 1898 during the Filipino revolution against Spain. In the subsequent revolution against the United States he became known as "the brains of the revolution." He was so considered by the American army officers, who bent every energy to capture him. He was the leading adviser of Aguinaldo, and was the author of the latter's many able decrees and proclamations. Mabini's official position was President of the Council of Secretaries, and he also held the post of Secretary of the Exterior. One of Mabini's greatest works was his draft of a constitution for the Philippine Republic. It was accompanied by what he called "The True Decalogue," published in the pages following. Mabini's "ten commandments" are so framed as to meet the needs of Filipino patriotism for all time. He also drafted rules for the organization and government of municipalities and provinces, which were highly successful because of their adaptability to local conditions. Mabini remained the head of Aguinaldo's cabinet until March, 1899, when he resigned. But he continued in hearty sympathy with the revolution, however, and his counsel was frequently sought. Mabini was arrested by the American forces in September, 1899, and remained a prisoner until September 23, 1900. Following his release, he lived for a while in a suburb of Manila, in a poor nipa house, under the most adverse and trying circumstances. He was in abject poverty. In spite of his terrible suffering from paralysis, Mabini continued writing. He severely criticised the government, voicing the sentiments of the Filipino people for freedom. He was ordered to desist, but to this, in one of his writings to the people, he replied: "To tell a man to be quiet when a necessity not fulfilled is shaking all the fibers of his being is tantamount to asking a hungry man to be filled before taking the food which he needs." Mabini's logic was a real embarrassment to the American military forces, and in January, 1901, he was arrested a second time by the Americans. This time he was exiled to the island of Guam, where he remained until his return to Manila on February 26, 1903. Mabini died in Manila, of cholera, May 13, 1903, at the age of 39 years. His funeral was the most largely attended of any ever held in Manila. Although he died from natural causes, Mabini died a martyr to the cause of Philippine independence. Five years of persecution left his intense patriotism untouched, but it had made his physical self a ready victim for a premature death. Third. Thou shalt cultivate the special gifts which God has granted thee, working and studying according to thy ability, never leaving the path of righteousness and justice, in order to attain thy own perfection, by means whereof thou shalt contribute to the progress of humanity; thus; thou shalt fulfill the mission to which God has appointed thee in this life and by so doing, thou shalt be honored, and being honored, thou shalt glorify thy God. Fourth. Thou shalt love thy country after God and thy honor and more than thyself: for she is the only Paradise which God has given thee in this life, the only patrimony of thy race, the only inheritance of thy ancestors and the only hope of thy posterity; because of her, thou hast life, love and interests, happiness, honor and God. Sixth. Thou shalt strive for the independence of thy country: for only thou canst have any real interest in her advancement and exaltation, because her independence constitutes thy own liberty; her advancement, thy perfection; and her exaltation, thy own glory and immortality. thanks for postin this. It was a big help. Welcome to all of you. I'll dig more about our hero Apolinario Mabini -a consistently true Filipino nationalist, in modern coinage. I am glad to know that some teachers/schools still have Mabini in their curriculum.